The ultimate source for Jewish genealogy. Literally millions of items of data. I started here to collate information and I return again and again. The site can be a little confusing but is worth every effort. Constantly updated. Huge American genealogical web resource. Mostly free. Search engine for genealogical lists. Mostly free. Passenger lists from boats long in Davy Jones' locker. A blog for Jewish genealogy. The Israel Genealogical Society. 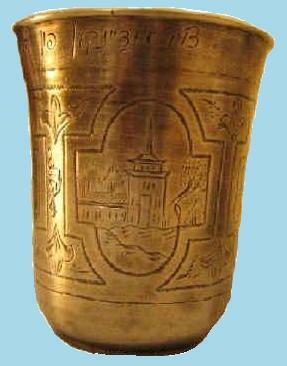 Gives information on archives in Israel. A guide to genealogical research in Israel. Archives of the Zionist movement. Important resource for anyone reaching Israel before independence. Resource for genealogy in Britain. Jewish Genealogical Society of Great Britain. Information in Jewish resources in the UK. Help with tracing immigrants to the UK. Tyne and Wear Archival Service. Data from the Jewish communities of Newcastle and Sunderland. List of Jews temporarily sheltered in England on there way from Europe to SA and USA. Database of Commonwealth War Graves Commission. Anybody processed at Ellis Island was registered. Passenger lists of all New York arrivals. Jewish Genealogical Society of Montreal. National Archive of South Africa. 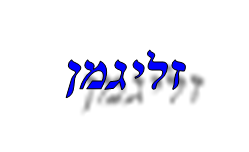 Database for the Jewish community of South Africa. South African Jewish genealogical Interest group. The web site for the most important Holocaust memorial. Huge archive on the victims of Nazism, including at least 150 (one-hundred and fifty!) known members of our family. Site of the American Holocaust Museum in Washington DC. A (partial) translation of the Yizkor volume dedicated to the Jews of Braslav, Slobodka and the Region. Translation of Katastrofia Evreev v Belorusii 1941-1944 by Leonid Smilovitsky. Copyright © 2007-2014 Jon Seligman. All Rights Reserved. Limited web site outlining the history of the Kretinga community. A site for Shadova - Seduva. Only if you have to! Shtetl site for Dvinsk (Daugavpils or Dunaberg), now in Latvia. A huge collection of images from the Dvina river borderlands between Belarus and Latvia. An amazing stock of professional photographs of Belarus. An alternative to a visit if you can't get there. Jose Gutstein's suberb web site. Includes a section on the Nemenchinski family who were married into the Slobodka Seligmans. The Himmelfarbs, if you didn't know, are connected to the Joffes. A site devoted the Fred's frequent flyer mileage. Has a short section on the origins of the Seligman family. Scott Seligman has produced an aesthetic website for his (unrelated to us) Seligmans from Bobruisk. The Galerkins are also Seligmans. They are the only branch of the family I have traced that still reside in Russia. Jonathan Marder's site for his family which concentrates on the Sandmans. A small one horse town on Route 66 in Arizona (USA) called Seligman. An even smaller one pony town in southern Missouri (USA) also called Seligman. A reward will be given to anyone who proves our familial (and hopefully financial) connection to these Seligmans (now operating as Columbia Management). My work website if you're interested. 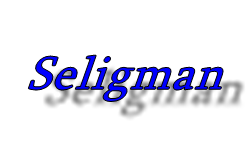 Another Seligman(n) website. This time Bavaria and South Africa. Please contact me if any of the links fail to work. Suggestions for additional links are welcome, especially those connected to the families or to the towns of origin.